CHIPS (Cosmic Hot Interstellar Plasma Spectrometer) is an American (NASA) astrophysics spacecraft that was launched by a Delta 2 rocket from Vandenberg AFB at 00:45 UT on 13 January 2003. The 60 kg, triaxially-stabilized spacecraft has a spectrograph covering the 9-26 nm wavelength band at a resolution of 0.1 nm, scanning the entire sky in chunks of 5 degree x 27 degree segments during each orbit. The targets are the hot and diffuse nebulae at about a million degrees temperature. The band covers several strong emission lines. What went Wrong in the ISS launch? An Insight. NASA Insight Mars Mission begins with a Boom. Scientists on a close Watch. Great Discounts on Amazon **Sale** !! Shop Exclusively on Amazon & Get Great Discounts !! Three Time Travel Theories which are yet to be Proved. The idea of Time Travel began with the proposition of one of the most important Scientific Theory i.e, The Theory of Relativity by Albert Einstein in the early 20th Century. Since then it has attracted hundreds of Scientists to work upon the problem. Its popularity can be visualized by the fact that even some of the kid cartoon series bears concepts of Time Travel using a Time Machine. So today we are going to present some of the current Theories that may open a door towards accomplishment of our notion of Time Travel. 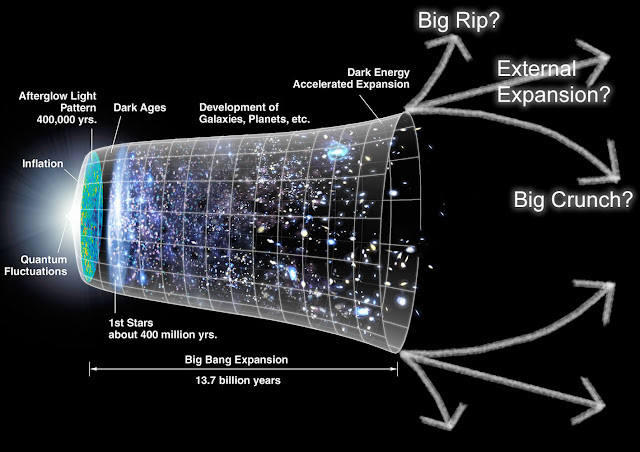 The Universe is expanding, that's something we know from the early to mid 20th century. But still today all of us are not on same page when its comes to the problem of how fast is it expanding or when will it stop its expansion. Sitting on a grain size planet in the whole universe, we don't realize how can it be true. But for Astronomers who are trying to measure the universe’s expansion rate, its really exciting. They want to know how fast it is expanding. That rate is important for understanding how the universe works, knowing what its ultimate fate will be and even what it is made of, and for this purpose, scientists have made many sophisticated technological developments. After all, the prime mission of the Hubble Space Telescope when it was launched in 1990 was to help determine that expansion rate, which was later named as the Hubble constant, named for the astronomer Edwin Hubble. 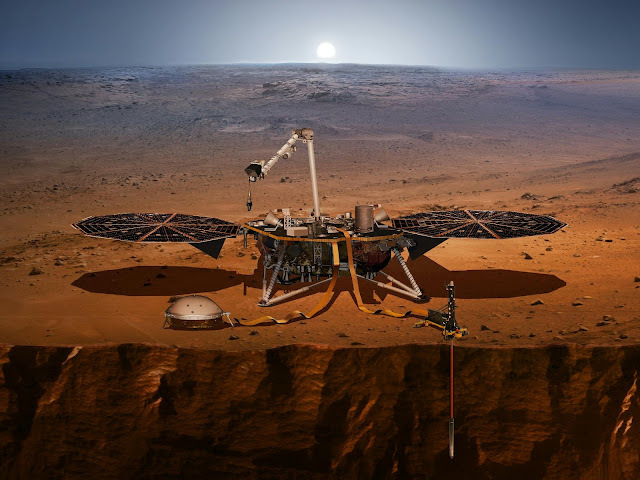 NASA's is Mars Interior Exploration using Seismic Investigations, Geodesy and Heat Transport (InSight) mission is on a 300-million-mile (483-million-kilometer) trip to Mars to study for the first time what lies deep beneath the surface of the Red Planet. InSight launched at 4:05 a.m. PDT (7:05 a.m. EDT) on Saturday May 5,, 2018 from Vandenberg Air Force Base, California. "The United States continues to lead the way to Mars with this next exciting mission to study the Red Planet’s core aFnd geological processes," said NASA Administrator Jim Bridenstine. "I want to congratulate all the teams from NASA and our international partners who made this accomplishment possible. As we continue to gain momentum in our work to send astronauts back to the Moon and on to Mars, missions like InSight are going to prove invaluable." 8). ROSAT : TheRoentgenSatellite The Roentgen Satellite, ROSAT, a Germany/US/UK collaboration, was launched on June 1, 1990 and operated for almost 9 years. The first 6 months of the mission were dedicated to the all sky-survey (using the Position Sensitive Proportional Counter detector), followed by the pointed phase. The survey obtained by ROSAT was the first X-ray and XUV all-sky survey using an imaging telescope with an X-ray sensitivity of about a factor of 1000 better than that of UHURU. During the pointed phase ROSAT made deep observations of a wide variety of objects. 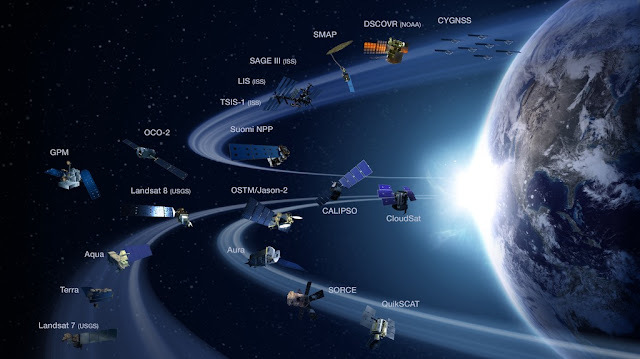 During its mission, ROSAT made important contributions in gathering important data like X-ray all-sky survey catalog, more than 150000 objects XUV all-sky survey catalog (479 objects). Detection of isolated neutron stars.Discovery of X-ray emission from comets. Observation of X-ray emission from the collision of Comet Shoemaker-Levy with Jupiter. All the Articles Published on this Website is for Information Purpose Only. Financial Support for Learners Infinite comes from the Advertisement and Referral Programs present on Our Website. Thanks for your support, hope the site is being useful for you all. We are continuously trying to improve our site so that our viewers get their best experience, any suggestion for further improvement are welcomed. © LEARNERS INFINITE SCIENCE FOUNDATION Copyright. All rights reserved.